Simply put, the Blade Sharpener is a mechanical device for metal grinding and sharpening of turning tools, drill bits, engraving knives, etc. for lathe machines such as cutting machines and rotary cutting machines. Just like we usually use sharpening stones to polish kitchen knives, the sharpening machine is a kind of grinding tool, but it is more mechanized and automated, and the target object is also mechanized. 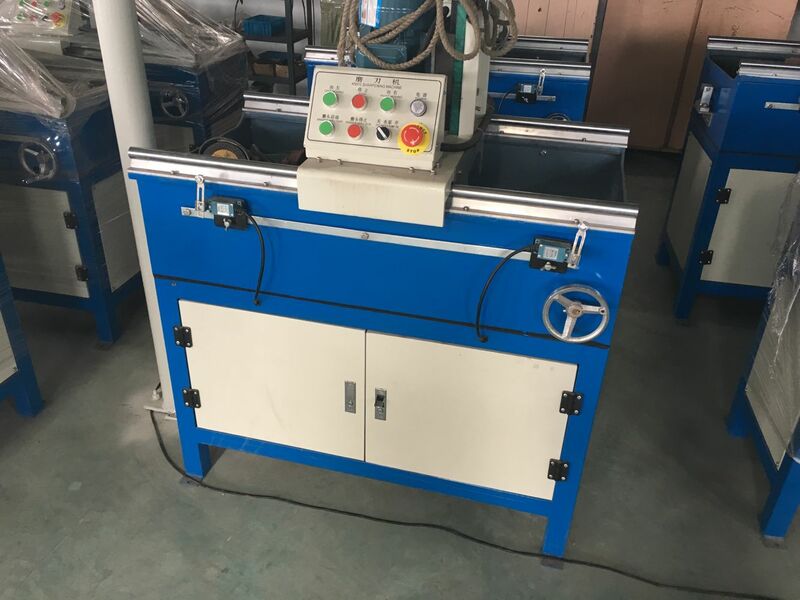 The sharpening machine is mainly composed of the fuselage, the worktable, the linear slide bar, the reduction motor, the grinding head motor and the electric control components. Through the compact cooperation of the various parts, the working state of the knife is formed at a constant speed. There are many types of sharpening machines. There are different types of machines such as end face sharpeners, CNC sharpeners, woodworking machinery sharpeners, and fully automatic sharpeners. Each type of sharpener is also used in its own application. The field contributes its own unique value. For example, the CNC grinding machine is an automatic degree grinding machine, which can automatically adjust the number of rough grinding and grinding, and has the functions of memory, storage and tracking, which greatly saves labor intensity. Because of the different product characteristics of different sharpeners, the sharpener is very useful in different application fields. The machinery industry, the wood industry, the paper printing industry and other fields are the application space for the sharpening machine. Our company’s main Blade Sharpener is mainly used in the plastic machinery industry. For example, in the plastic recycling washing machine, the rotary blade and the stable blade used in the shredder crusher are easy to wear in the production process. The Blade Sharpener can fully grind the blade to make it sharp and new by sharpening stone, which greatly saves the customer’s production cost. At the same time, our company also produces plastic recycling washing line, plastic pelletizing machine, and other auxiliary equipment. Our company’s products can meet EU standards, and strictly in accordance with national standards. We always adhere to the concept of high efficiency, stability and energy saving. By tailoring suitable production solutions for our customers, we can help our customers turn waste into treasure, create profits and achieve mutual benefit. Our company’s grinding machine / blade sharpener has many different models. According to the different needs of customers, our company will provide suitable grinding machine in time.